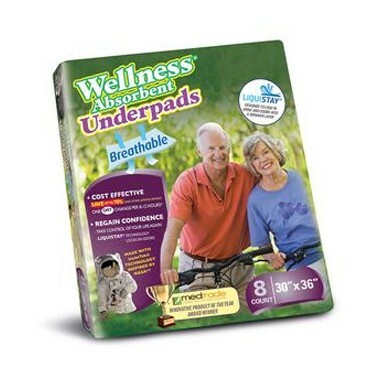 The Wellness Absorbent BREATHABLE Underpad is an added level of protection to our Unique Wellness Incontinence Program. With its 9500ml+ capacity and Liquistay system, you can rest assured that the bed will remain DRY at all times. Its air flowing non-woven material allows the user to feel like they are sleeping directly on their actual bedsheets. Dimensions 30" x 36"